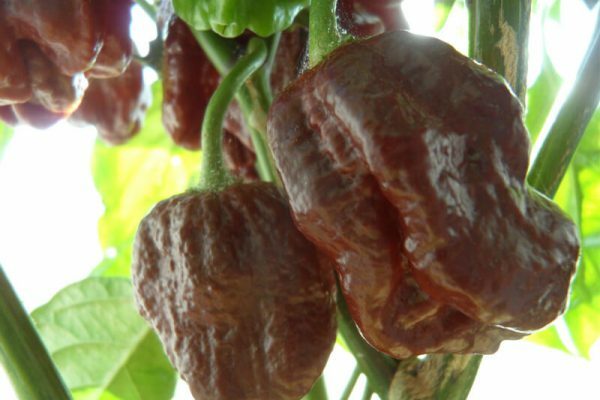 This is another brown colored variant of the Moruga Scorpion. 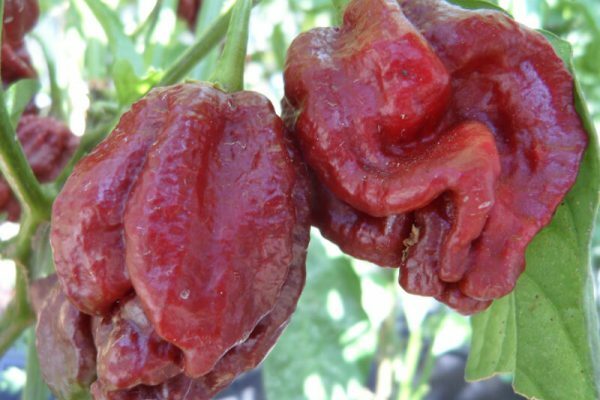 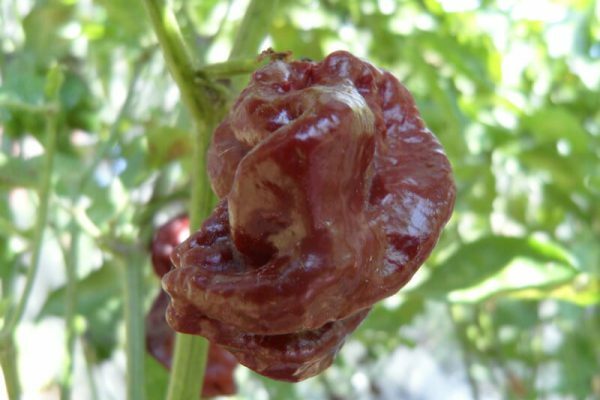 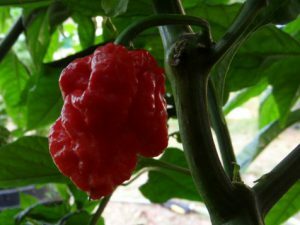 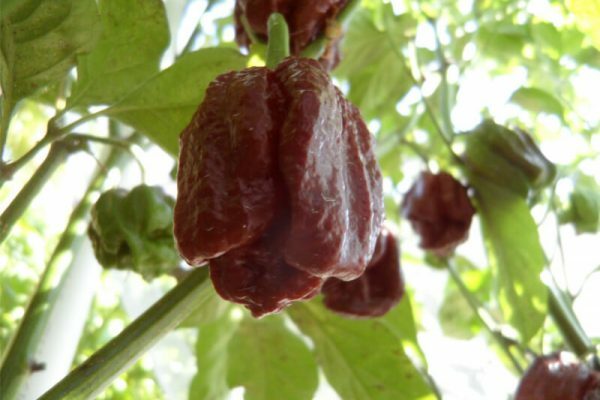 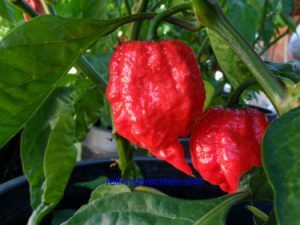 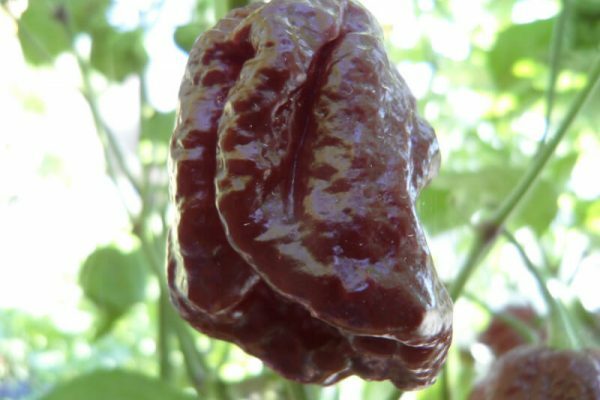 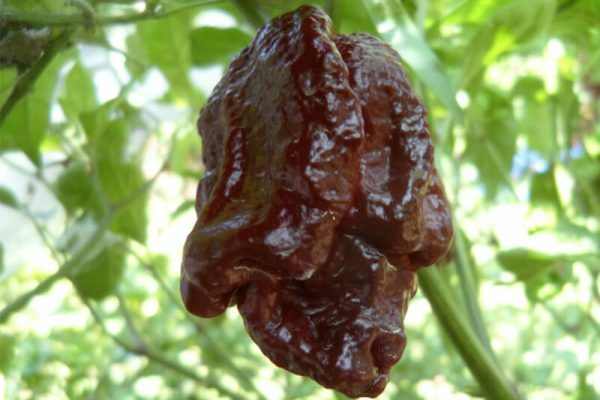 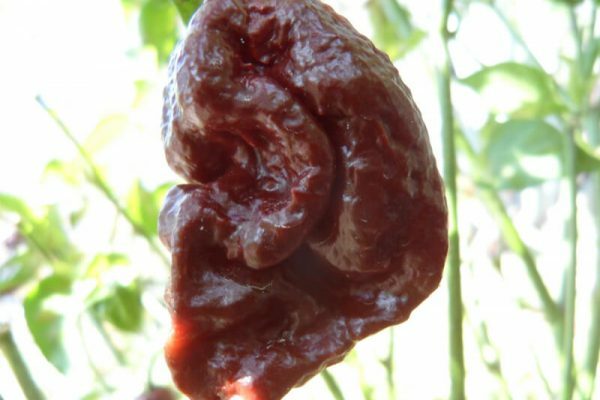 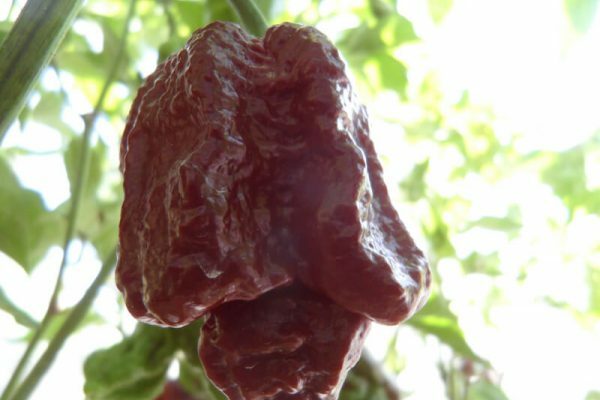 It is said to be a cross of a 7 Pot Brown and a Moruga Scorpion. 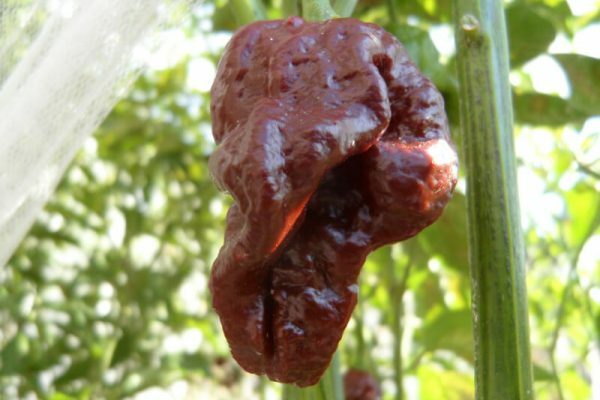 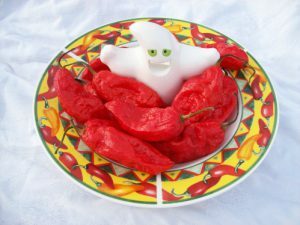 There is debate that this might be the same or different as the Chocolate Moruga Scorpion. 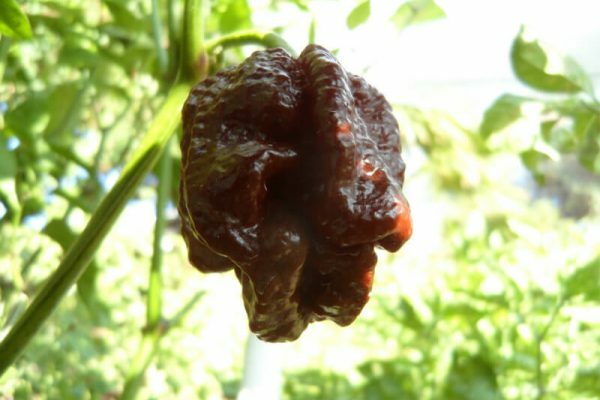 Differences we can see and that we have heard from others is it is a darker shade of brown and has a more burning upfront heat. 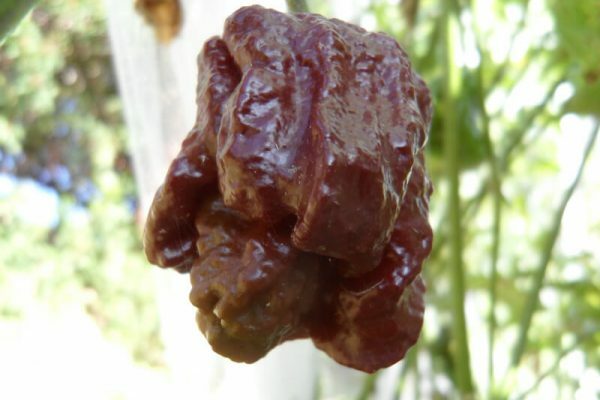 It also produces some very large pods. 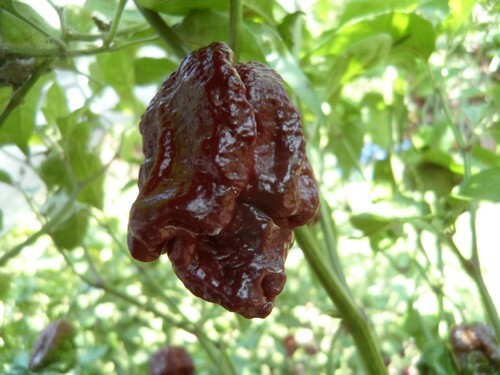 Like the Chocolate Moruga it has a slightly fruity background flavor. 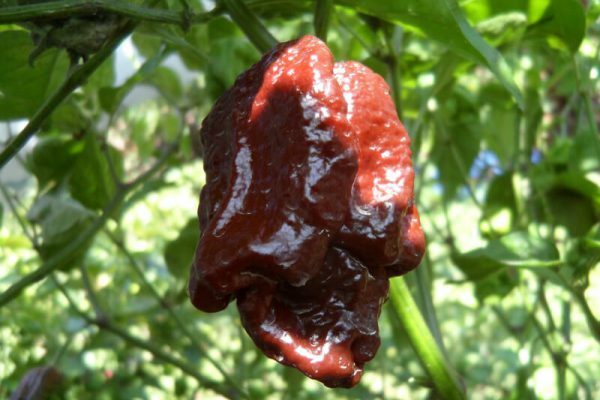 Only thing is you don’t get many true shaped Moruga looking pods like you do with the Caramel and Chocolate Moruga. 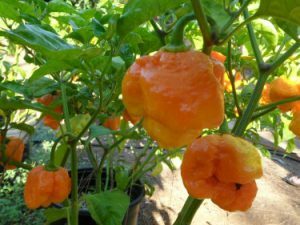 The Brown Moruga Scorpion Chile Plants can grow up to 4 feet tall.